New York City-based artist and performer Tina Trachtenburg aka Mother Pigeon crafts incredibly real-looking pigeons and other urban wildlife inspired from those she encounters. 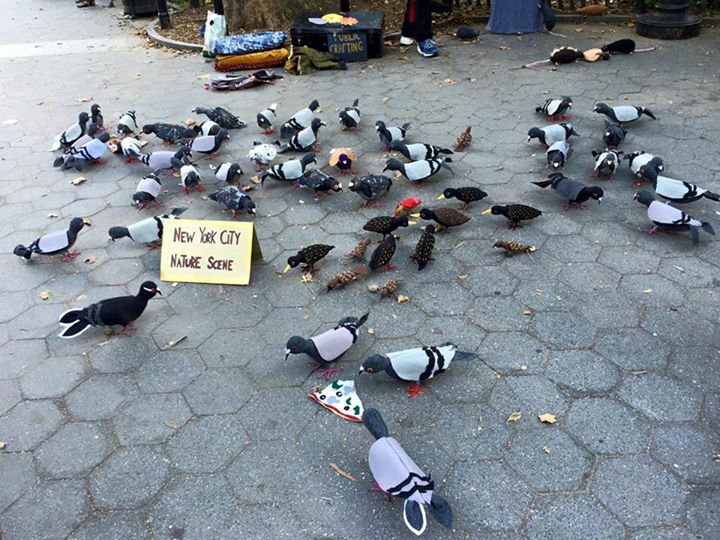 Her current series is called “New York City Nature Scene” in which she creates a “flashflock outstallation” of pigeons pecking at the ground in a park or streetcorner, with rats and garbage real enough for passersby to do a double-take. Tina explains her fascination with the birds on her Facebook page. 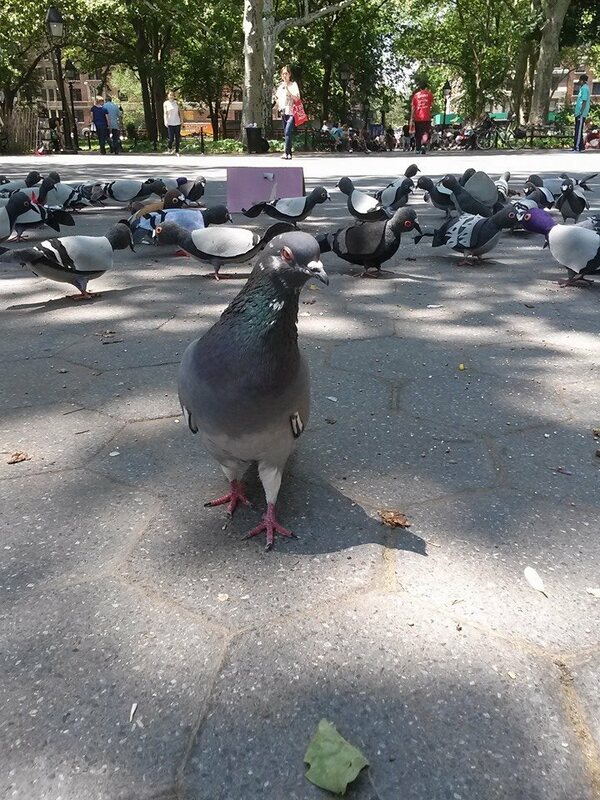 As soon as I moved to New York City in the late 1980s, I fell in love with the pigeons. I’ve always loved all animals. A couple of years ago i noticed that there was a flock of pigeons living on our roof. I started feeding them. Now they all know me and when I leave the house to run errands, they follow me down the block. I carry a lunchsack of birdseed with me everyday to feed the pigeons as I go about my day, walking down the street. I’m a believer that art should be functional. I have thought about making stuffed pigeons in the past but I didn’t since I didn’t think it would be a functional thing. So, I just made one. He came out well, so I made a flock. I found that by displaying them around the city, they earned a purpose as an animal rights installation bringing awareness to people about the plight of the pigeon population. My art has become a way to show love for pigeons.